Well, here it is, our 2014 Year End Net Worth. We started out at $77,804 and are now sitting comfortably at $121,006. A pretty sizable increase for just 12 months! Okay, Okay, I know - we could always do better. and I get that, but I'm also really genuinely pleased with the progress we've made. With most people out this New Years Eve celebrating the bringing in of 2015; I'm sitting on my mom's couch, suffering a cold and budgeting. I'm seeing really good things for 2015, and I'm so looking forward to growing and sharing and continuing this journey with all of you. 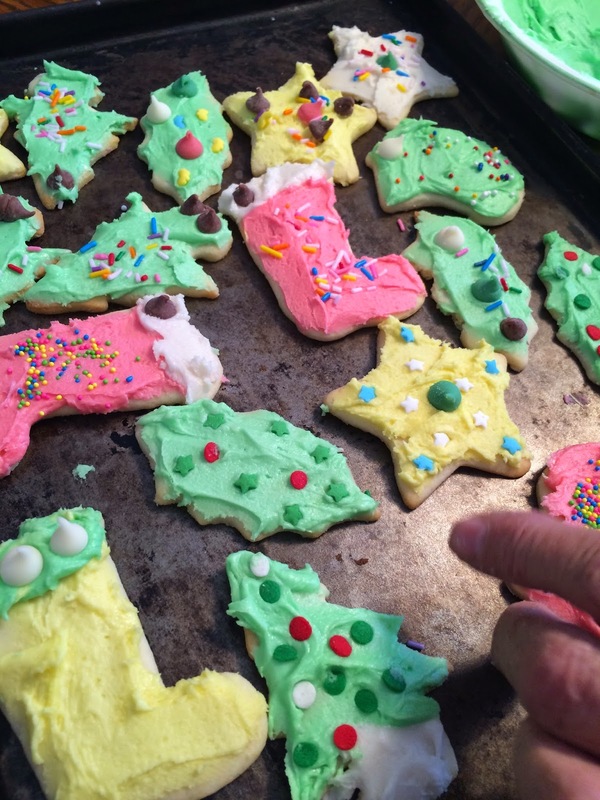 I love, love, love Christmas Baking. I went home two weeks ago for the weekend and spent two days baking with my grandmother, my mom, and one of my aunts. We wound up with I think at least 4 or 5 kinds plus home made chocolates that we do every year. 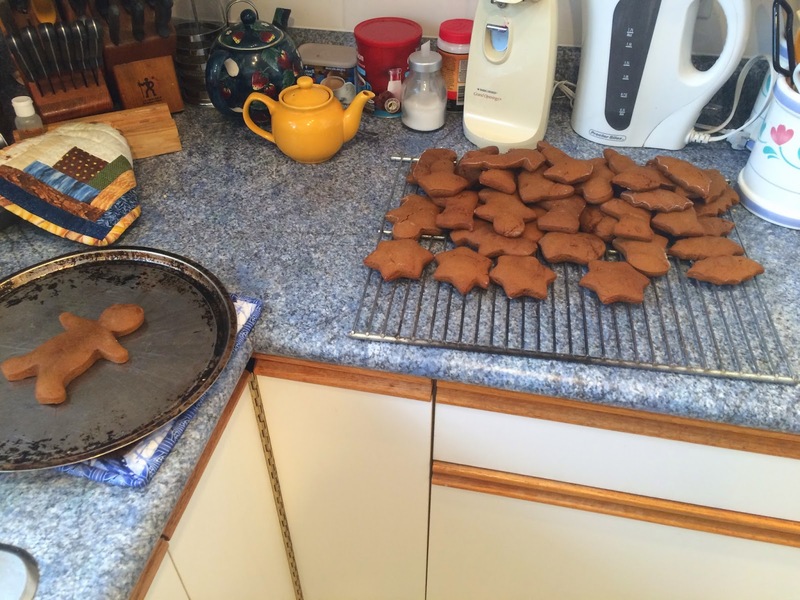 We tried to hit everyone's favourite cookies. The next day we shipped out tins of cookies to people who wouldn't be home for Christmas and did a few for right away, and then put a few tins in the freezers to bring out over the holidays. We all know (unless you live under a rock) that oil prices have been dropping steadily over the last while. Unfortunately for me, living in Alberta, our provincial income is heavily reliant on it...not to mention my employer. So oil prices hanging out around $55/barrel is not very good....we like to see it at $80+. So...not good for work, not good for the province. But it is good when I'm fueling up the car to go to work (thought if it keeps up much longer, I might not have work to go to). These photo's were taken just this morning! 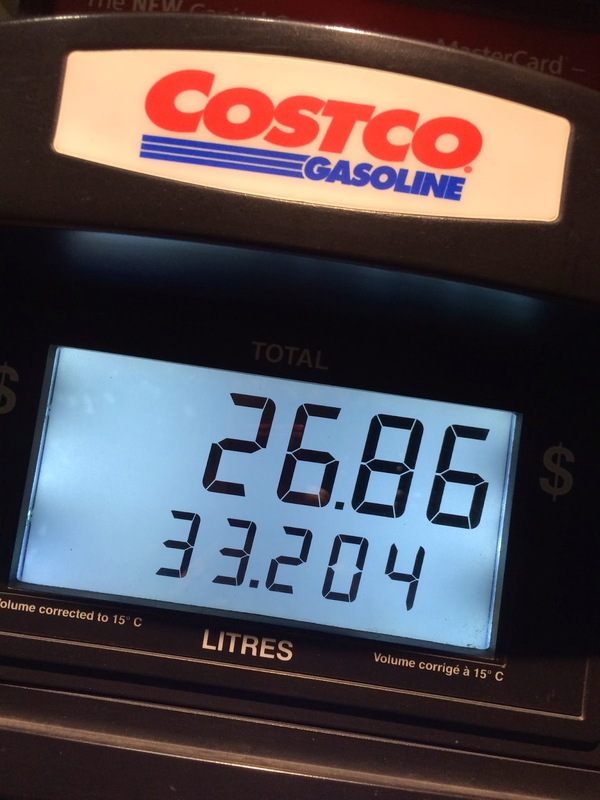 Gas prices have dipped to 80.9 at Costco where I live. 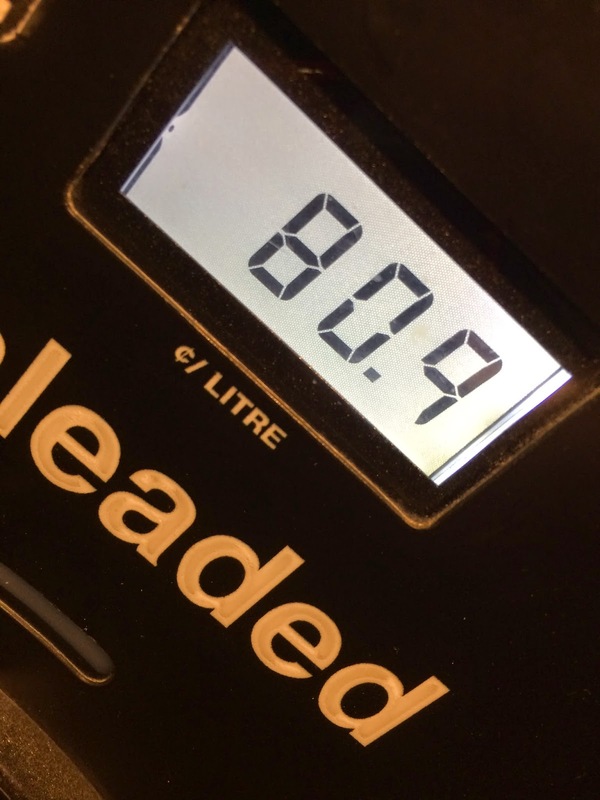 There are some Shell's and other fueling stations that still are at 89.9; but by and large everyone is below 90 cents now. I'm going to take this as a blessing leading up to Christmas, but am also going to cross my fingers for OPEC to stop messing around. Just $600 shy of $120K, our net worth continues to climb. Total debts, including mortgage, have been reduced to $365K and change and total assets have risen to about $485K. The Escape has been paid off! Completely! I'm so very happy to be going into 2015 with one less payment, and just as happy to be able to funnel that money towards the LOC.